Clear braces (ceramic braces) are made of an artificial composite material which appears almost invisible when placed on the teeth. 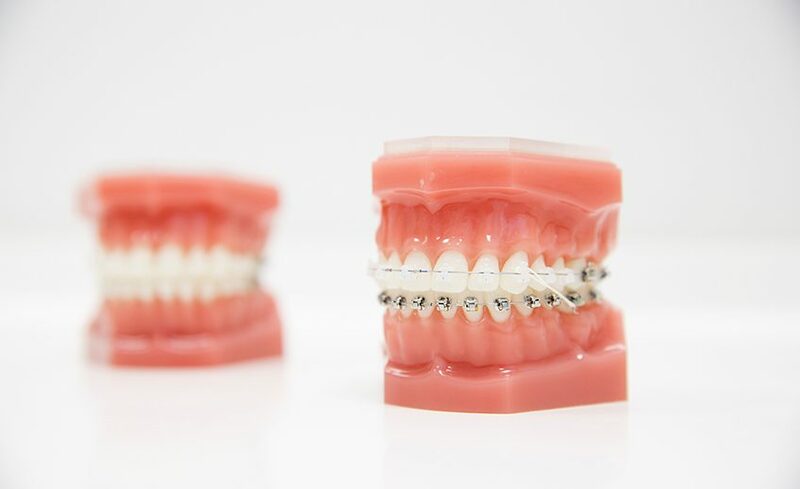 They are strong but can be brittle.People like to choose clear braces because they “blend in” with the teeth and are less noticeable than metal. These are the type of braces most people who may be in public positions eg. Actors, receptionists, models. The elastic ties that hold the arch wire on to the ceramic brackets are often white or clear, this looks great at first, but they can stain. These clear elastic ties are changed each time you get an adjustment. It is only the elastic ties that stain, not the brackets themselves. Advantages of ceramic braces are they blend in with most teeth, so they are not noticeable at a distance – however ceramic braces are more expensive, slightly larger and in some cases can slow treatment.